I’m sorry I haven’t blogged recently. I promise I’ve got really exciting blog posts coming up soon as this is what I’ve been planning. I recently received some ear piercing jewellery products from The Body Jewellery Shop. They have a huge selection that there’s way to many to choose from! 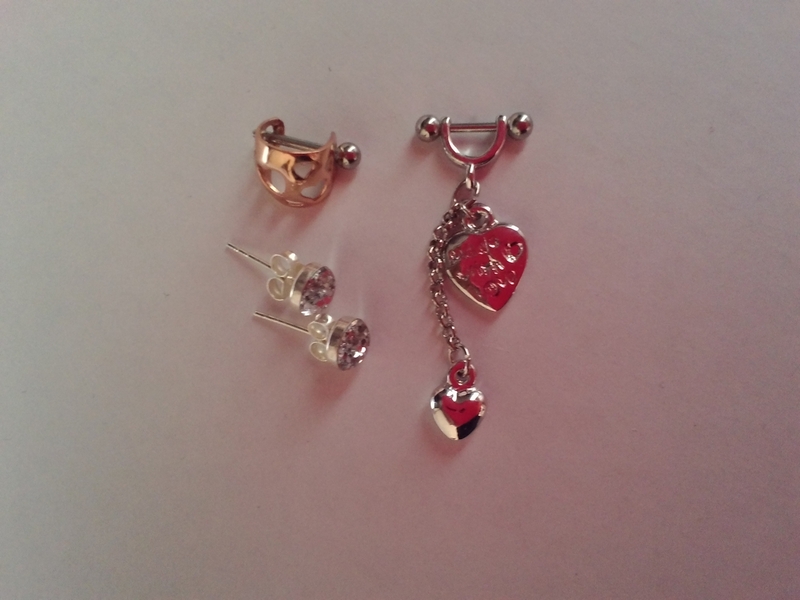 Silver glitter stud earnings – I was in need of silver studs and I have been wearing these no stop they go with all my outfits adding a shiny sparkle. Helix stirrup barbell heart drops – I haven’t got my helix pierced but once I have I’m sure this will look stunning. The quality is super good and its so classy. Rose gold plated ear cuff hearts – Rose gold jewellery is so pretty I love it! 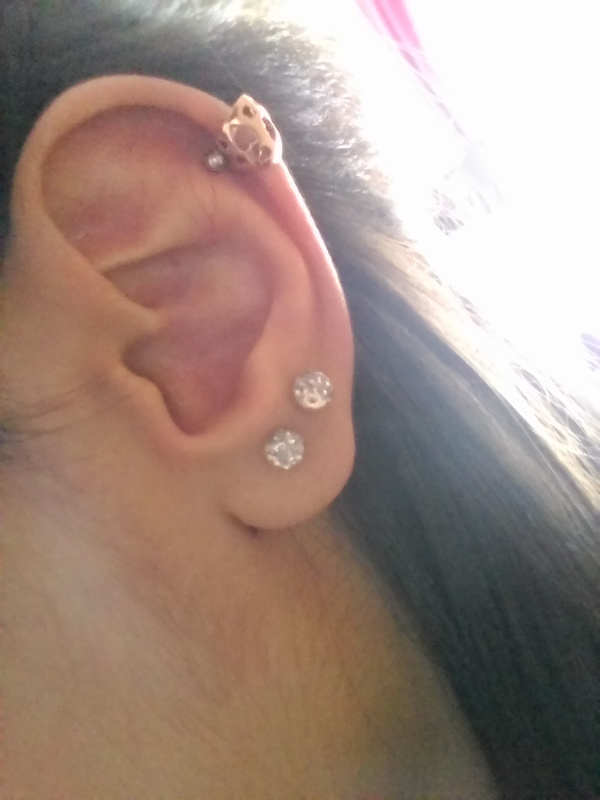 This is why I love this ear cuff its so glamorous the hearts make it look so cute.